Archimede Seguso was born in Murano on 17 December 1909 and, when he was only eleven, he came into the artistic glass making. Very capable in the work " a lume" and in the furnace, he became a very good master, distinguishing himself also with the new making of heavy glass. 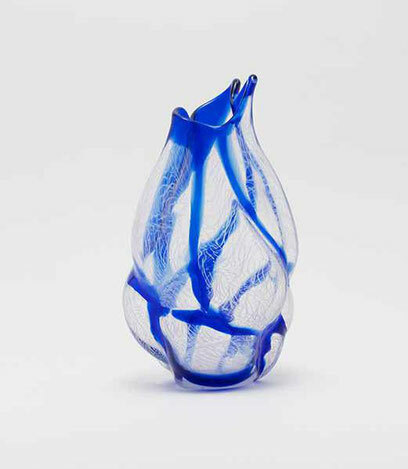 In 1933 he joined the family's glass factory, the Seguso Vetri d'Arte. Here he developed his inner ability in the massive sculpture, creating works that were presented in the prewar Biennals of Venice. In 1946 Archimede obtained his full artistic independence by founding his glass factory, the "Vetreria Seguso Archimede". He became a very important character in the Murano and international glass world, sensitive to the trends and ground-breaking of tastes. The 50s were for Archimede years of innovation of the techniques of glass making as, for example, the "Merletti" (1952) and the "Piume" (1956). He made several researches on the technique of filigrana and on the study of colour. In 1989 the Save Venice honored him with a solo show in New York, "Il Maestro dei Maestri", at Tiffany & Co. 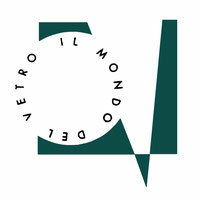 In 1990 there was another solo show at Otaru museum in Japan, and, in 1991, the city of Venice hosted "I Vetri di Archimede Seguso", unique case where the works of an artist were exhibited at Palazzo Ducale. After Archimede's death, in 1999, his son Gino succeeded him in the management of the factory and still today he follows all the aspects. In 2006 "The Archimede Seguso's Museum Foundation" was created, a private institution with the goal of realizing a museum in Murano dedicated to Archimede Seguso..